Sunday roasts just aren't the same without some delicious sweet parsnips on the side! These tasty vegetables are easy to grow, and need next to no maintenance throughout the season. 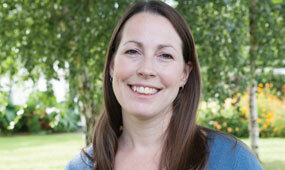 In fact, once sown they will virtually look after themselves. Better still, they don't need harvesting all in one go - you can leave them in the ground right through to early spring, lifting just a few as and when you need them! Growing parsnips couldn't be simpler, so take a look at our full range of Parsnip seed available to buy online today. F1 hybrid varieties have brought great improvements to this useful winter vegetable crop, offering disease resistance, smoother skins and improved germination rates. As a result, Parsnips are definitely making a comeback, so be sure to buy your Parsnip seed early as they tend to sell out quickly! Parsnip 'Gladiator' - The world's first F1 hybrid Parsnip and still a well respected show bench variety, with good canker resistance and a sweet earthy flavour. Parsnip 'Countess' - Conical, carrot-like roots that retain their colour after washing and look especially attractive on the plate. 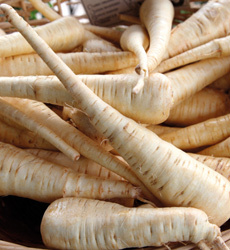 Parsnip seeds should be direct sown outdoors from April to June, once the the ground is workable. They need temperatures of around 12C (52F) so don't sow them too much earlier than this unless you use cloches to warm the soil first. 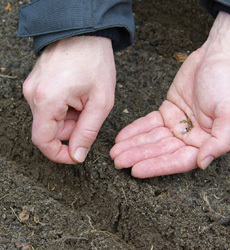 Avoid sowing in cold or wet soils as the seed is liable to rot. Grow parsnips in a sunny position in stone-free, well prepared ground that has been deeply cultivated and raked to a fine tilthe. Parsnips prefer a fertile, light, well drained soil. 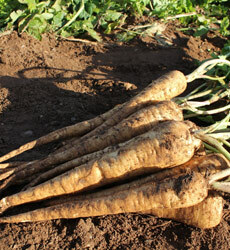 On heavier or stony soils you may find better results by choosing a shorter rooted variety such as Parsnip 'Countess'. If space is limited on your vegetable plot then why not sow a crop of radishes in between your rows of parsnips to maximise the use of your land. These will mature quickly and can be harvested long before the parsnips will be ready. Germination is often slow and can take up to 28 days. During dry periods it is especially important to keep the seed well watered to encourage good germination, particularly when growing on light, sandy soils. When large enough to handle, thin out the seedlings within each row to 7cm (3") apart or 10cm (4") apart if larger roots are required. Once germinated, parsnips will need little attention and should be watered only when necessary to keep the soil moist. 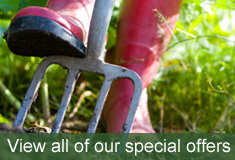 Try to avoid extremes of wet and dry soil as this may cause the roots to split. Weed between rows of parsnips regularly to keep beds weed free at all times. Hand weeding is preferable as there is less risk of damage to the developing parsnip roots, or you can carefully hoe between the rows. While many vegetable crops make excellent subjects for growing in containers, unfortunately parsnips are not well suited to this type of cultivation. Parsnips develop long roots and therefore need more depth of soil than most containers can offer. However, if you have a particularly deep container or spare dustbin then there is no reason why you shouldn't drill some holes in the bottom and have a go! Harvest parsnips from late autumn right through to the end of January, once the foliage begins to die back. 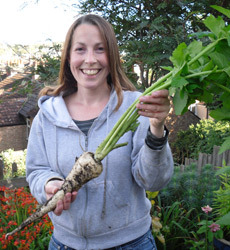 Parsnip crops can be left in the ground, and simply lifted a few roots at a time, as and when required. Simply loosen the soil around the roots with a fork before lifting them to avoid damaging the roots. It is worth noting that their flavour will be improved if they are left in the ground until exposed to frost. This process converts the starch within the roots into sugars, thereby giving them a far sweeter flavour. Alternatively you can lift and store parsnips in boxes of barely moist soil, peat or sand, and store in a cool place like a shed, garage or unheated greenhouse. Roots can be stored like this for up to 4 months.